In this second part of my Millionaire Mind Intensive review I’m going to explain how your mind is playing a dangerous game against you, misleading and constantly sabotaging your success. Are you ready to face the cold truth? If you are here for the first time I would advice you to click the link below and read the first part of this review before going on, in order to be able to better understand this article. In this second part of my Millionaire Mind Intensive event review I’m going to go deeper into the mind games we all experience throughout our lives. Some of them might sound too far fetched and others might sound quite reasonable to you. I urge you to keep what you think is best for you…I know that I changed a lot of my old beliefs and now I’m able to better control my mind since I left this event. Your wellbeing starts from within. Even though many people still don’t believe in personal, self & inner development, it is proved to be equally or even more important than your physical development to live a satisfying life. 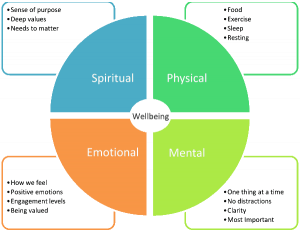 If you carefully read the diagram on your left, you will clearly understand that your physical world is the result of your mental, emotional and spiritual world, combined together. Failing to fulfill one of the four parts of this diagram will lead you to experience major disruptions in your daily life. An example of these disruptions are thoughts coming from deep inside. These thoughts are, most of the times, ways that your subconscious mind is trying to “force upon you” in order to fulfill all four parts of this diagram. 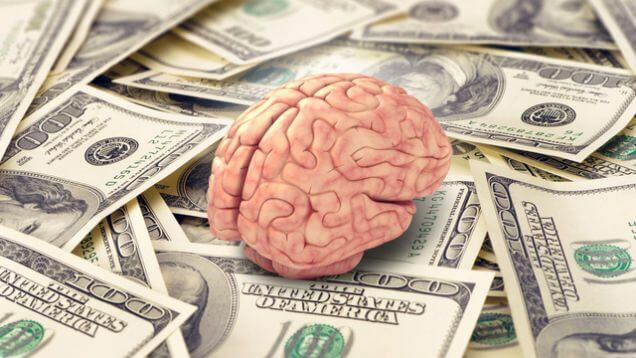 Our human brain is wired to verbally model specific incidents that happened in the past or we remember from our childhood, about money. Thus we bring these incidents in our present situations and act subconsciously upon them using the pre-installed software we have from this past incident. 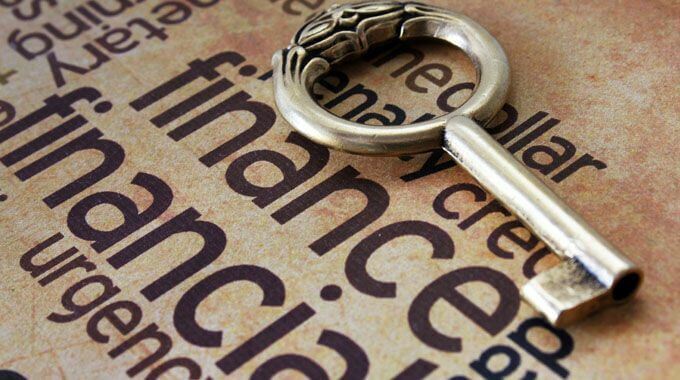 My family back in Greece, lived continuously in an environment that money was in shortage because of our bad or to place it better – non existing – money management strategy. As a result I remember myself growing up and always having problems to maintain money and manage them correctly because of the “malware” my subconscious was replaying all the time. Until I discovered this system. Nothing has a meaning in life except for the meaning you give it the moment you begin adding words and categorize it. The problem is that when you end up having a conclusion, it becomes really really difficult to reverse it because it feels like going against your own ego and ability of thinking. If you know what I mean and have experienced this before, the below phrases might seem useful to you. Here´s what Yannick Van Den Bos is saying about Millionaire Mind Intensive on his website. Now here is the meat and potatoes you were looking for from the Millionaire Mind Intensive event. We are all made of energy, right? Your blood, bones, muscles etc. are all made by energy and posses energy inside them. As a result the more you can maintain a better – positive – mood the more you are going to attract what you want in life because of your energy vibrating in higher levels. On the contrary the more your energy vibrates in lower levels – when you are in a bad mood for example – the more you are going to attract what you don’t want in life. This is why you need to surround yourself with positive people and participate in highly motivational events like the Millionaire Mind Intensive, as often as you can. The meaning behind this 4 words is very important. To change something in your life, you need to be aware of the problem and to fully understand in order to be able to recondition it and finally bring change. However to change something in your life you will need to fix your life story and money is a good place to start. i.e. if you say you’re worthy – you are worthy – if you say you are not worthy – your are not. Try and remember a bad day or bad time period you had recently. Can you recall the event? Well this event alone made you feel down, not in mood, having negative thoughts and similar. Right? That’s because any kind of negative feelings you are carrying with you is bad – negative energy stacked inside you, waiting to be released. The word “feeling” causes “emotions” by itself. When we are feeling something, we are having an emotion for this specific feeling. Now the word “e-motion” means energy + motion, energy in motion. So when you go through your days having negative energy, you are literally using your limited willpower to go against the environment around you. Now the paradox is that our environment is stronger than willpower…so it’s a pointless fight you are trying to fight against to. Here´s what John W. Newman is saying about Millionaire Mind Intensive on his website. A very wise idea, which can really help you, is thinking from the point of view that everyone always does the best they can at any given time. I can say it’s pretty difficult to think from this point of view (try this when driving in Thailand)…but trying will only make you a better person for you and your loved ones. Here’s something cool that I took out of the Millionaire Mind Intensive event and I believe it can really help you as it did with me. You know, every time you have a new idea or thought, like working from home, your mind is always giving you doubts about why this idea will not work or this thought is not ideal, right? Our mind is playing this game because it has it’s own hidden agenda…it wants to be lazy, it doesn’t want to work, it wants to remain in the same position – not grow up and it will create any kind of illusion for me & you to avoid this. Do you want to know which are the favorite words of our mind? I bet you do! What if you don’t get this? What if you don’t succeed? What if he/she says no? …and this is because your mind is afraid to grow up as I mentioned earlier. Meaning the people who can conquer and control the games their mind is playing against them. In other words being able to bypass your egocentric mind system. Pretty deep stuff, right? To sum up, I highly recommend you to participate in a Millionaire Mind Intensive event. It will change your and your loved ones lives towards better. The best thing is that this event is happening around the world in 30 or more countries so there is always a country near you. Click here to learn more about it. P.S. Don’t forget to check the first part of Millionaire Mind Intensive event review here. Hey Vasilis really enjoyed your post, love Millionaire mind intensive program and you are absolutely right we are not our minds and it all starts within you, great video and post! Totally correct – it all starts within us – not outside. If we first fix what is between our ears then everything will be a lot easier. Great post Vasilis. Our mind is either a powerful ally or a formidable opponent. We get to choose. That’s why I always keep my reset button handy. Thanks for sharing. You nailed it with this. Our mindset is a powerful tool or weapon. It can work for us or against us. So true. tweeting for you. Thanks for showing some love. Awesome Post Vasilis, our mindset is the most important part of our business. When we have our mind straight is when the magic happens. The Millionaire Mindset is in my Business Reading Library you have inspired me to read it. Thanks for Sharing. Great information Vasilis, the millionaire mind intensive should be a required course for any business owner! my favorite point that you made is: Nothing has a meaning in life except for the meaning you give it. Super important Cathy. You are right on the spot. I would say most of the basic education in schools needs to be replaced with these kinds of courses. “In other words being able to bypass your egocentric mind system.” That is the bottom line really, Vasilis, our daily struggle. Thanks for this interesting review. How we grew up and the talk around money and expectations has such a great influence on us. Appreciate it Louisa and totally agree with you about the part of the growing-up environment. I have been working so hard on my mindset and its crazy the stuff Im finding out about me it’s like I dont know me!